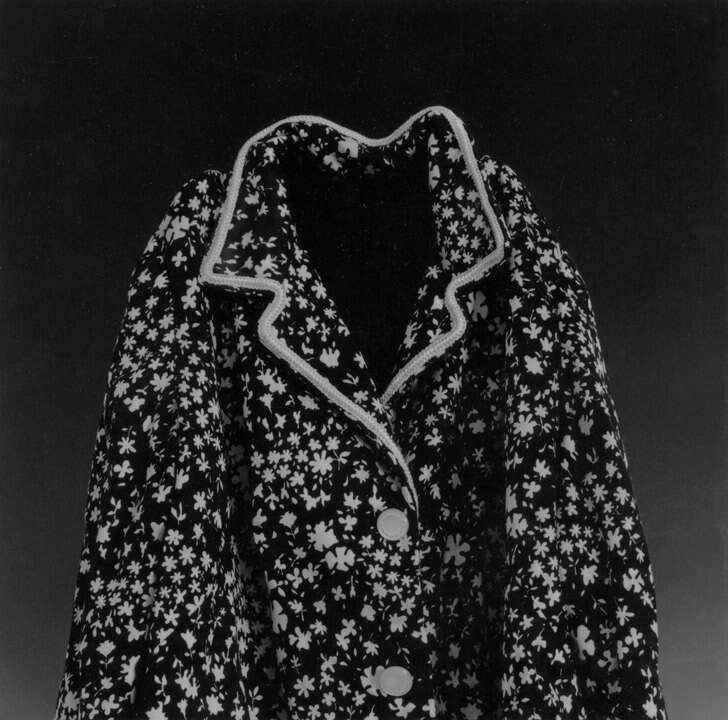 This is an early work in which Onodera mounts about fifty pieces of used clothing in front of the window of her apartment in Montmartre, Paris. 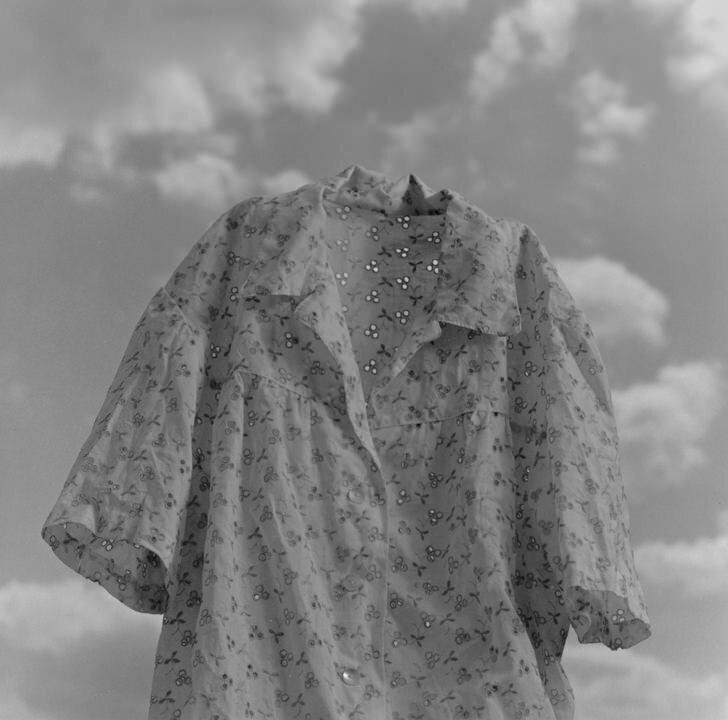 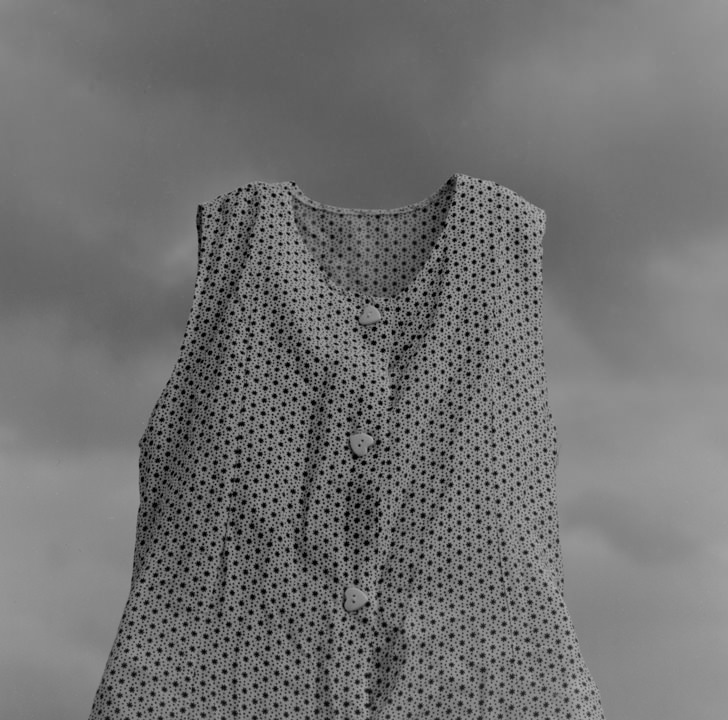 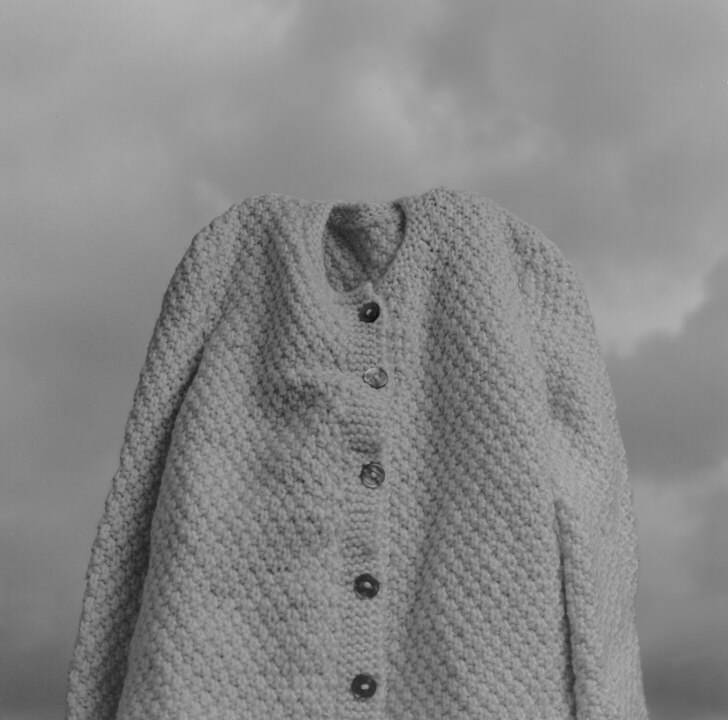 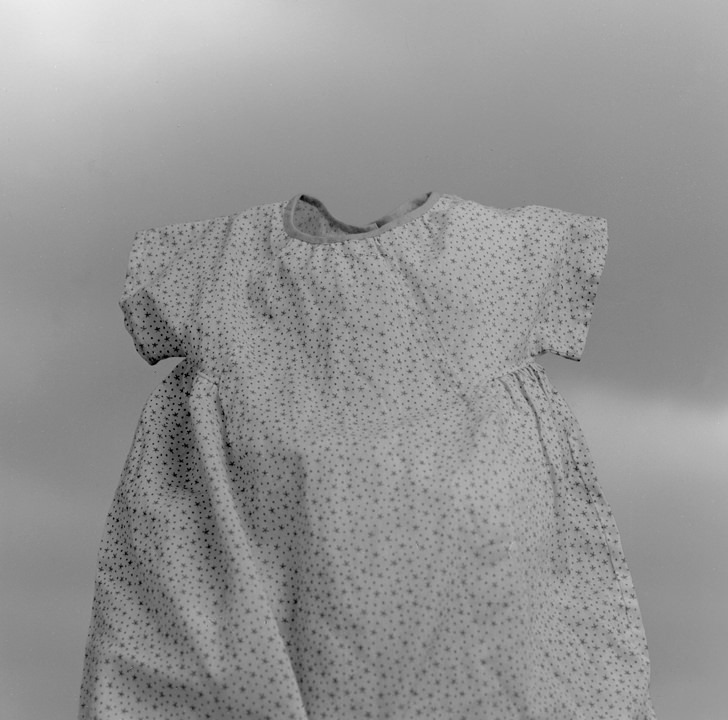 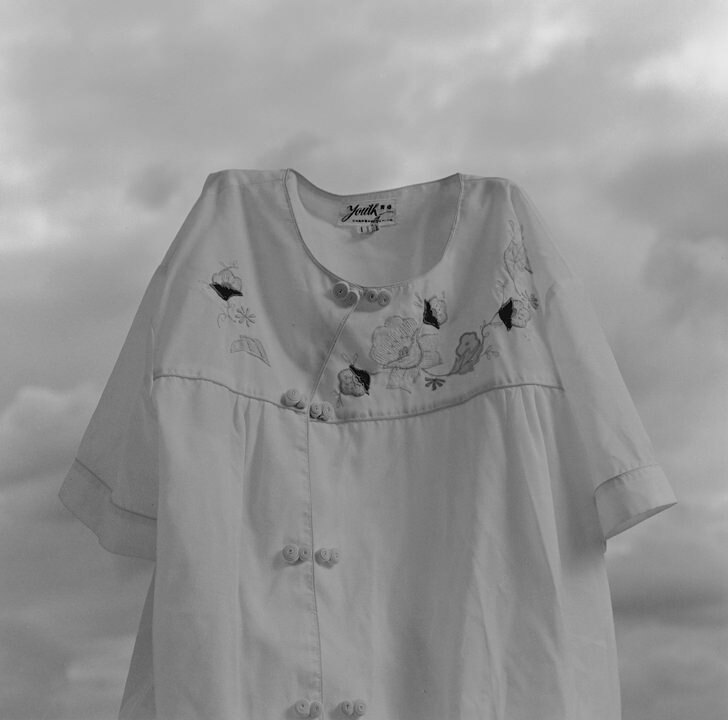 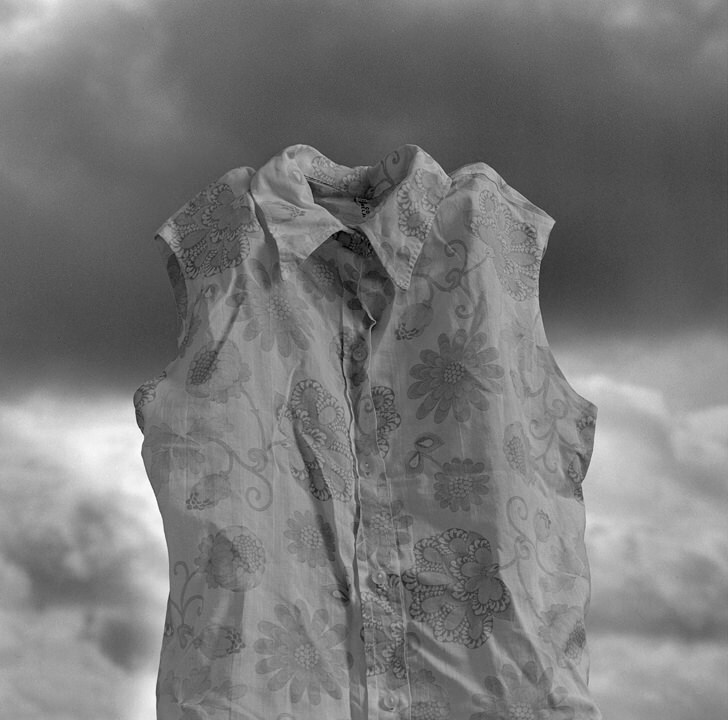 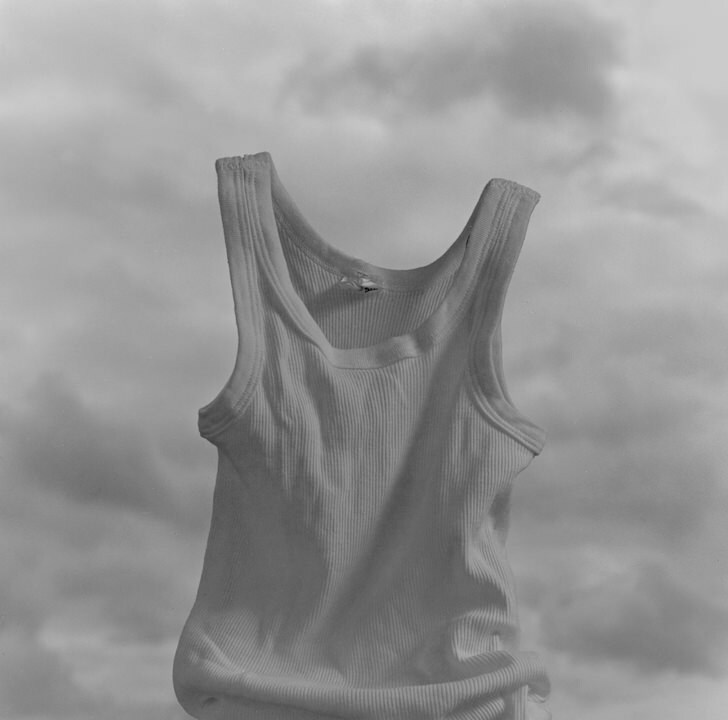 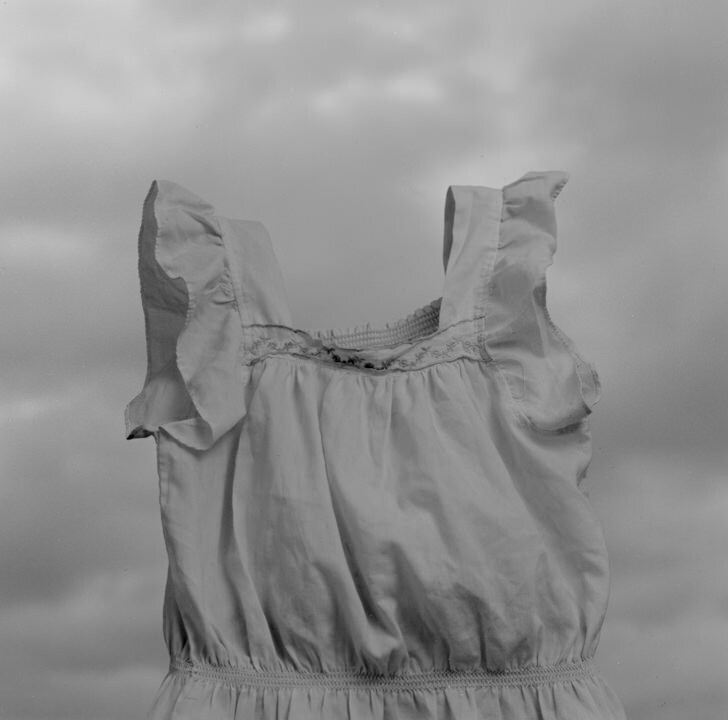 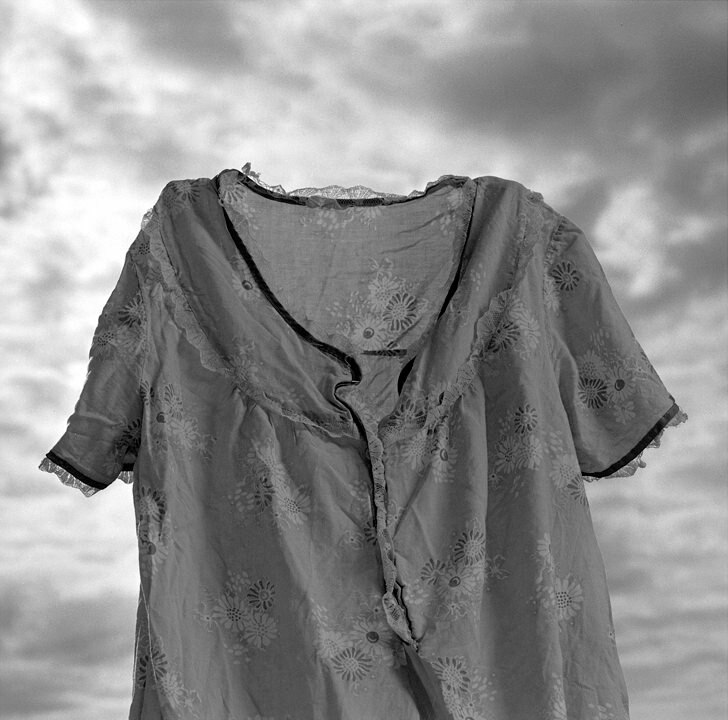 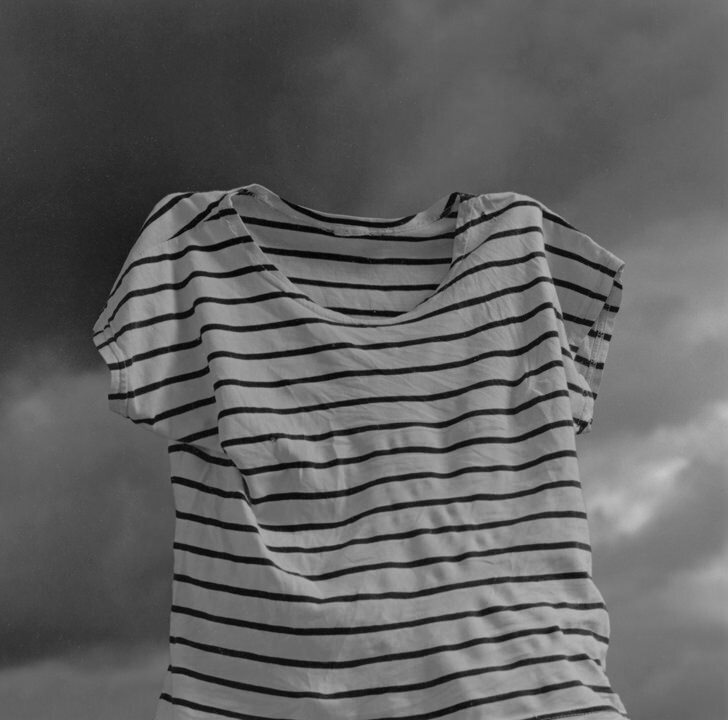 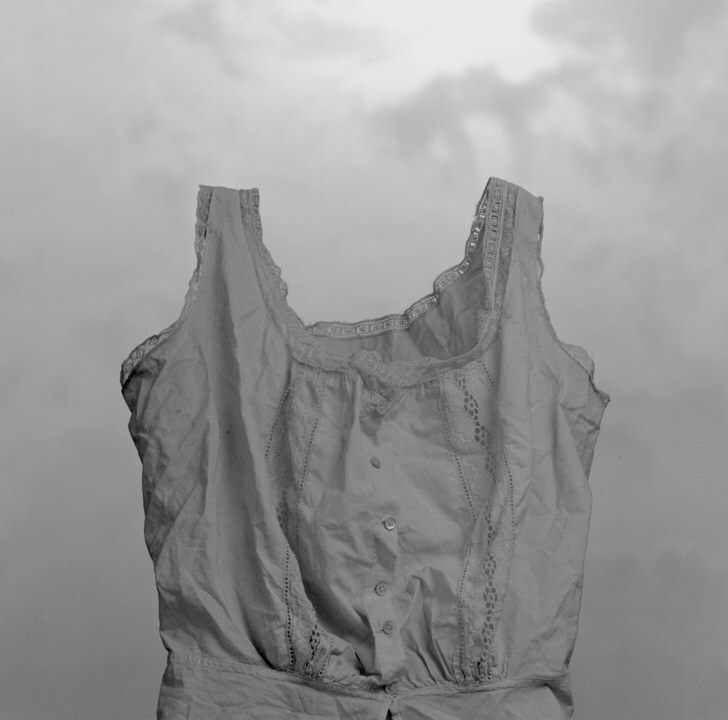 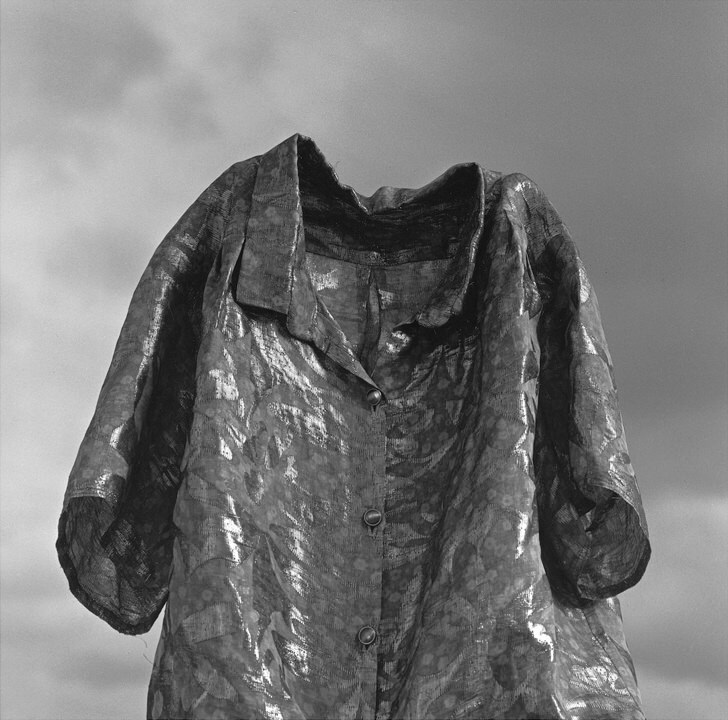 She acquired the second-hand clothes at Christian Boltanski’s 1993 Paris exhibition “Dispersion”. 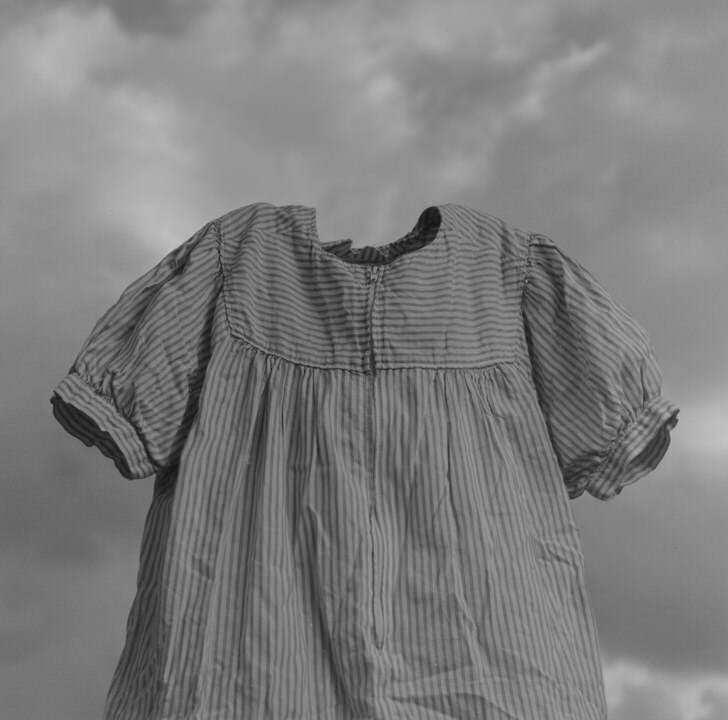 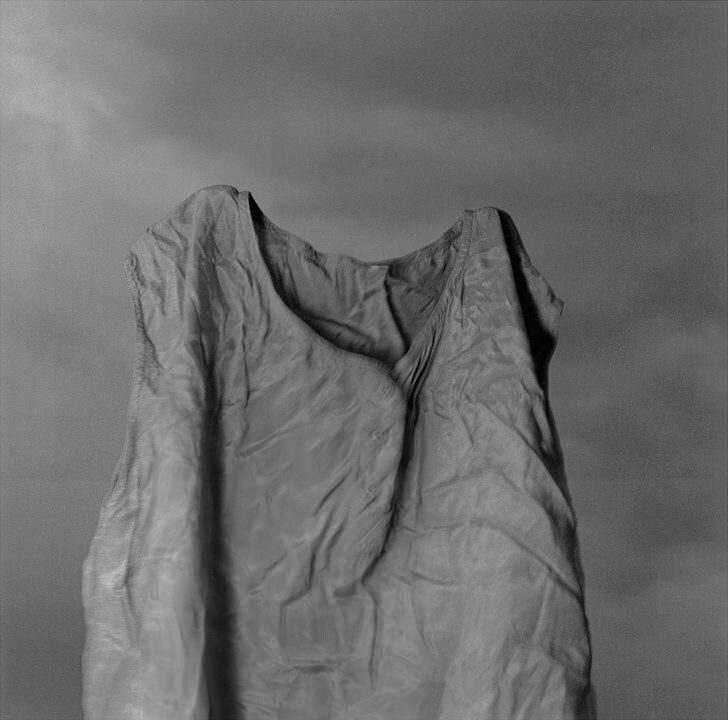 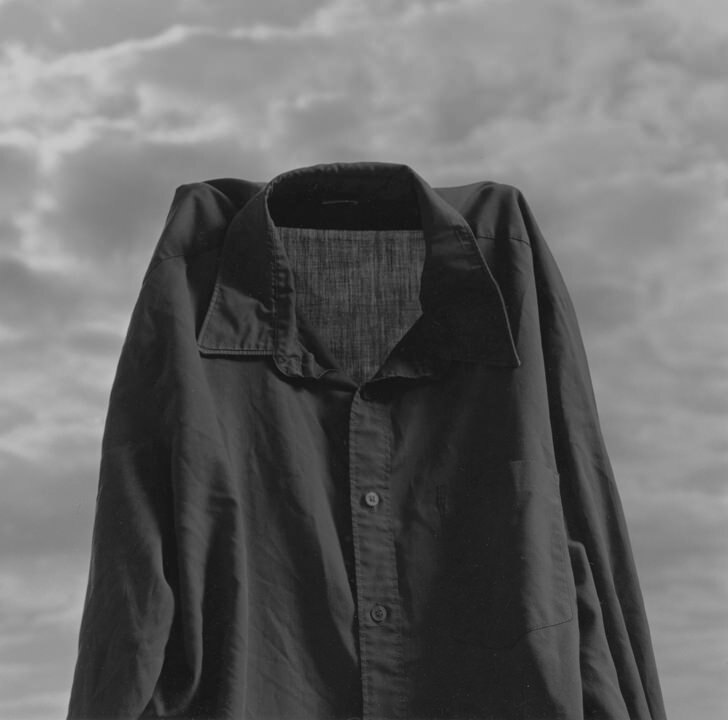 Boltanski had created a large heap of used clothing, and visitors to the exhibition were allowed to take a bag of clothes home for the fee of ten francs. 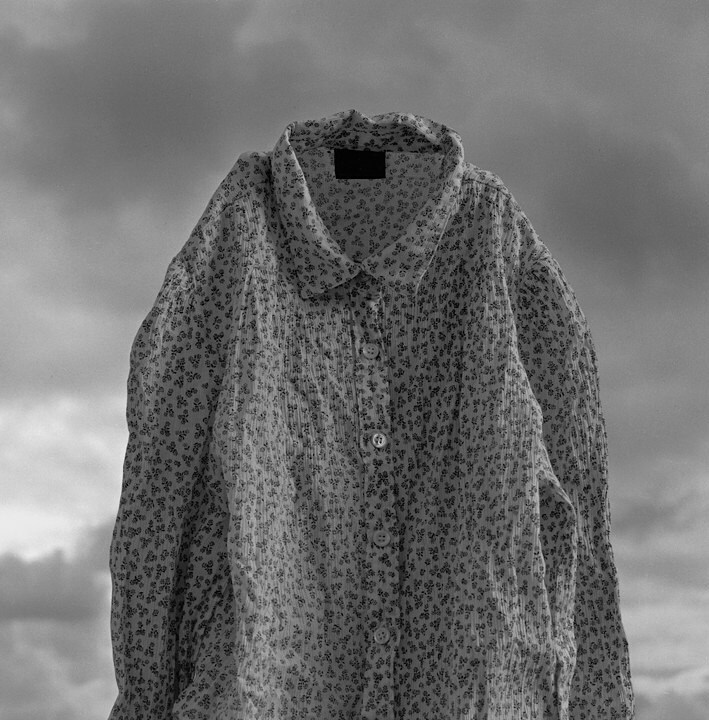 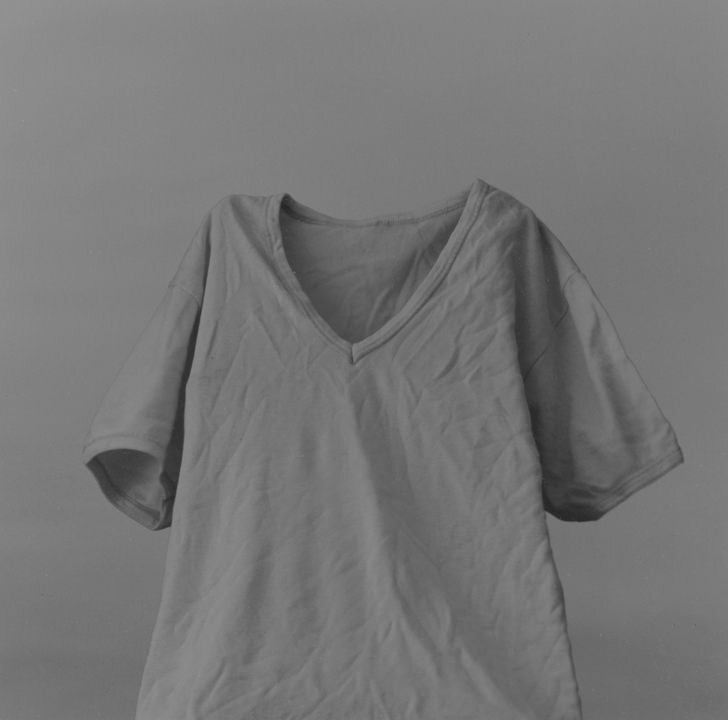 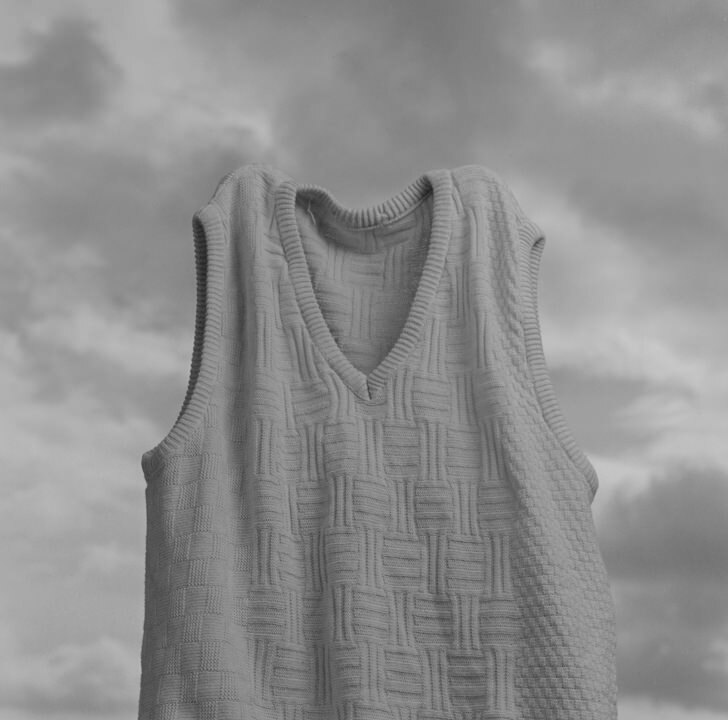 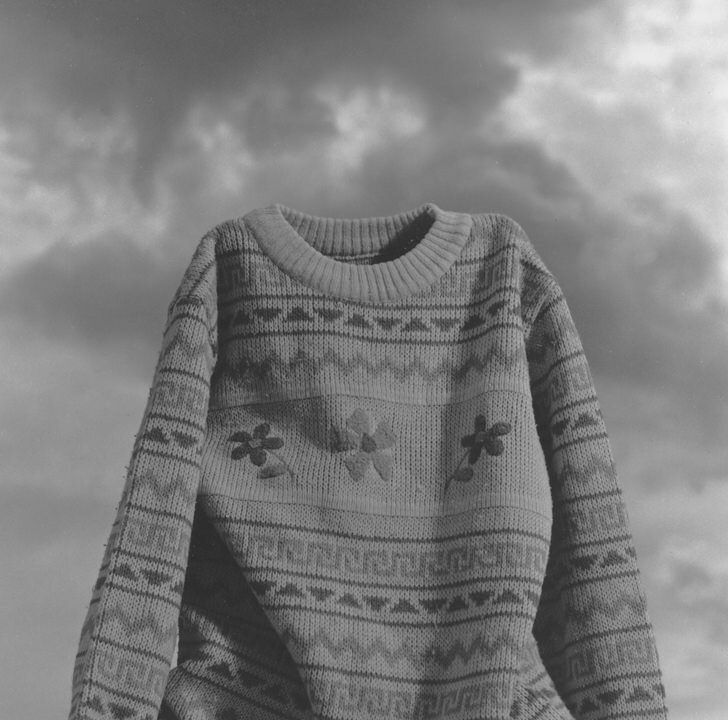 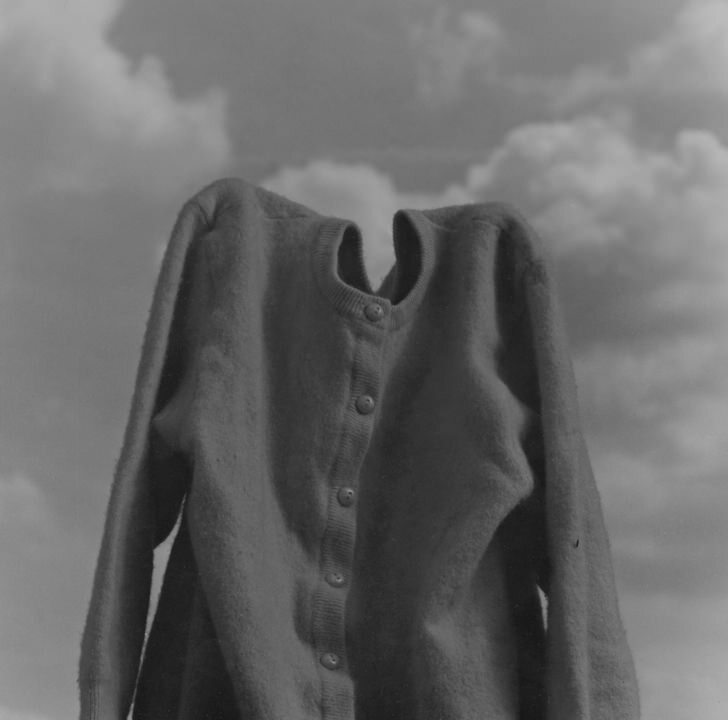 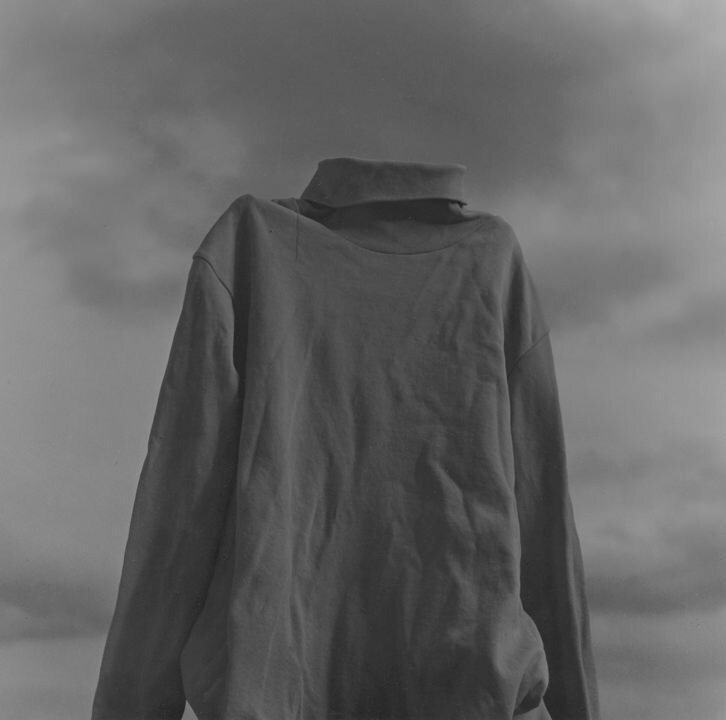 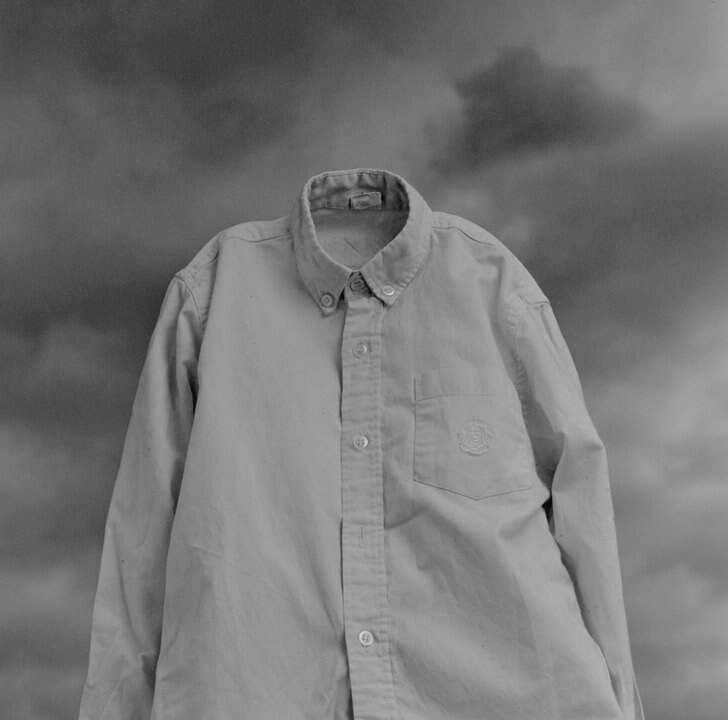 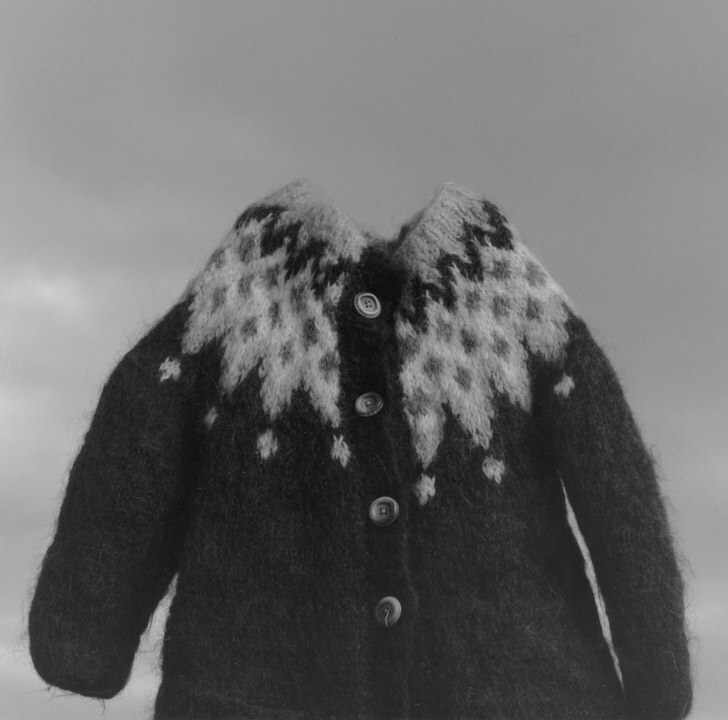 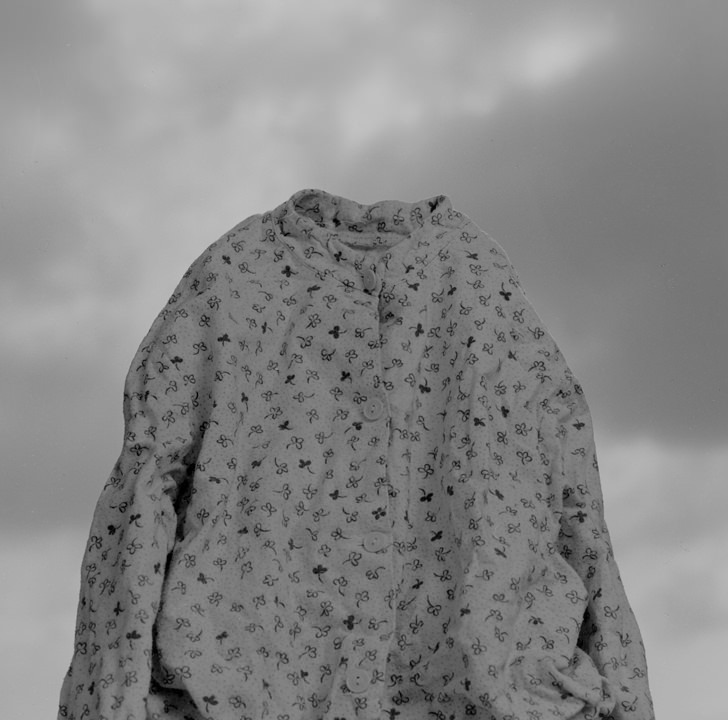 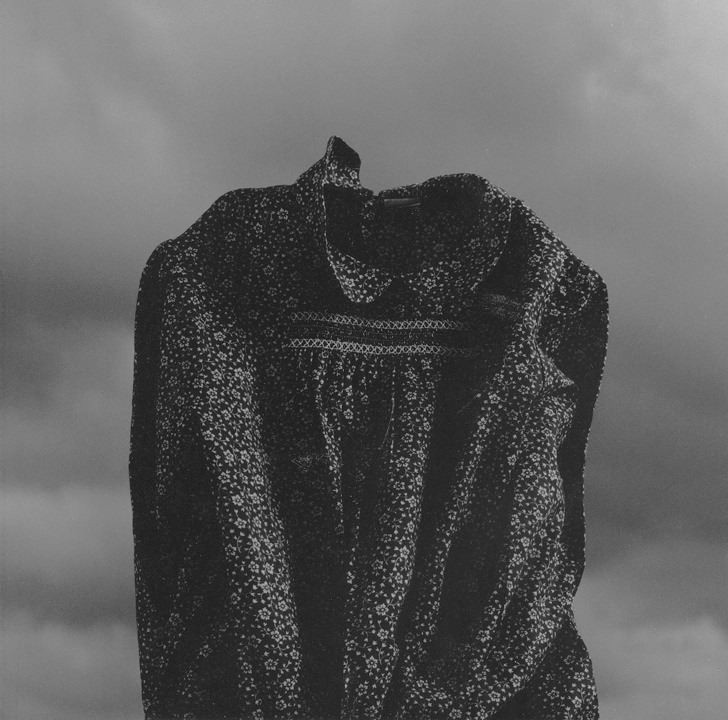 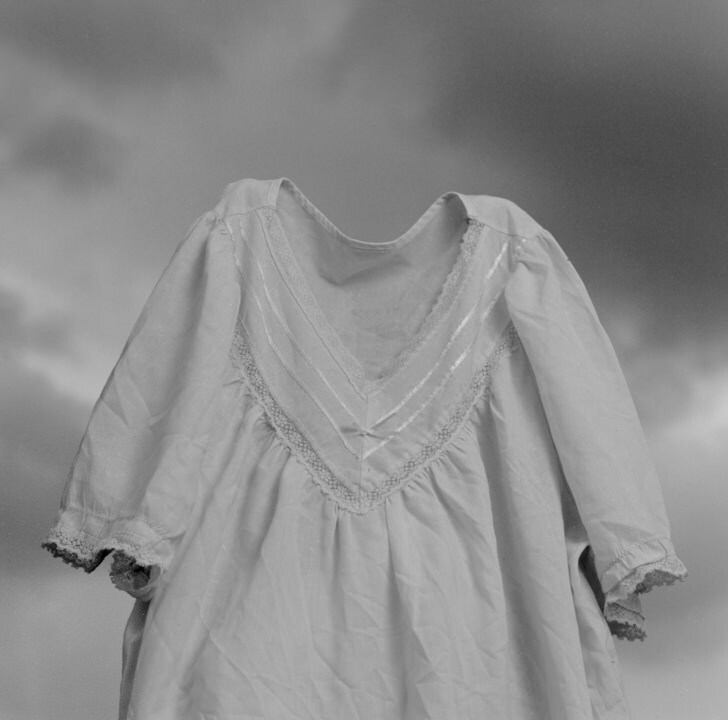 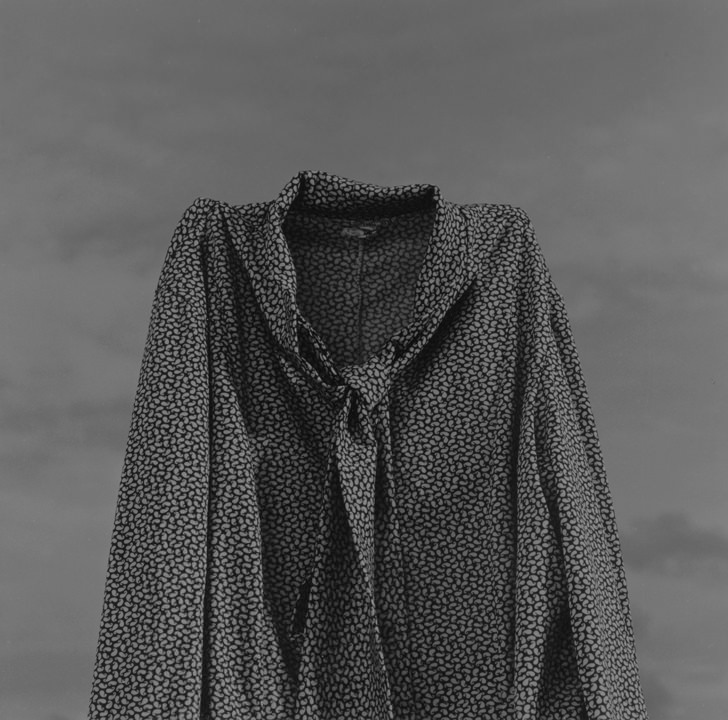 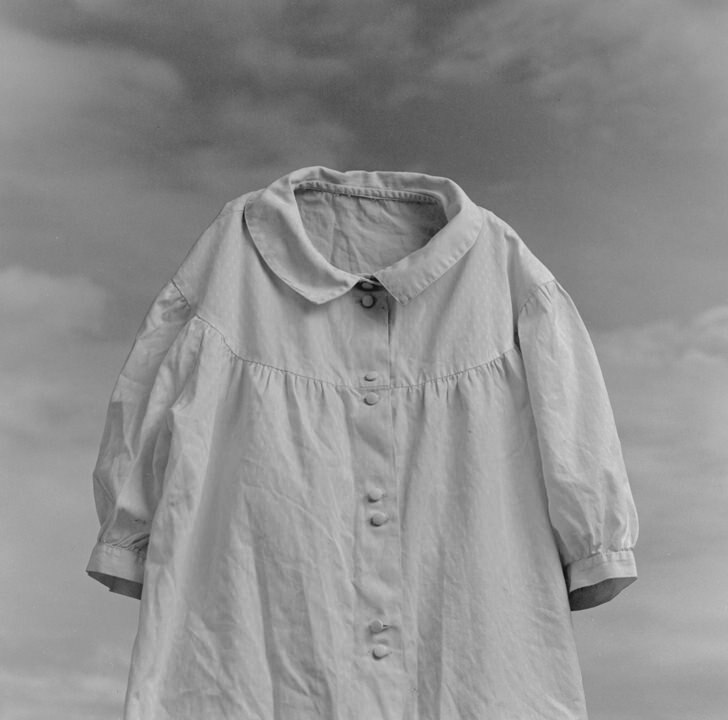 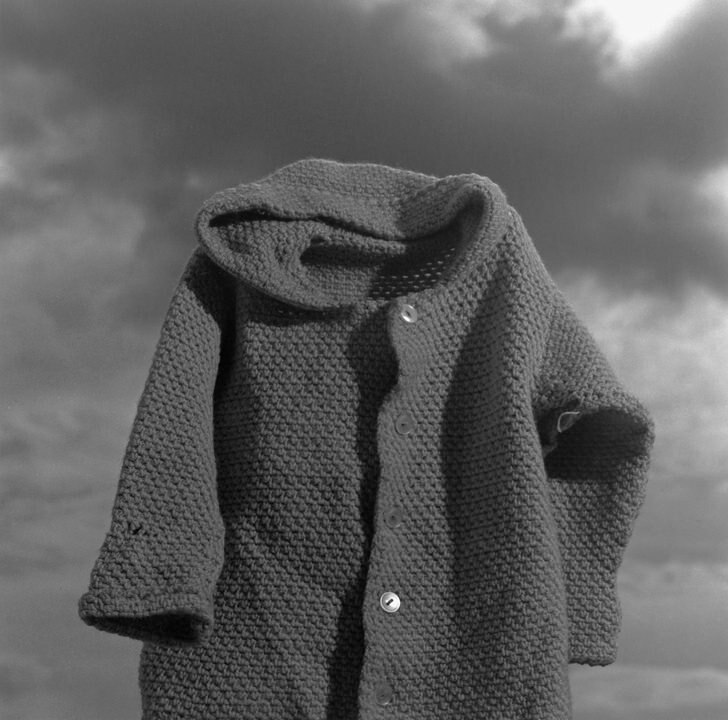 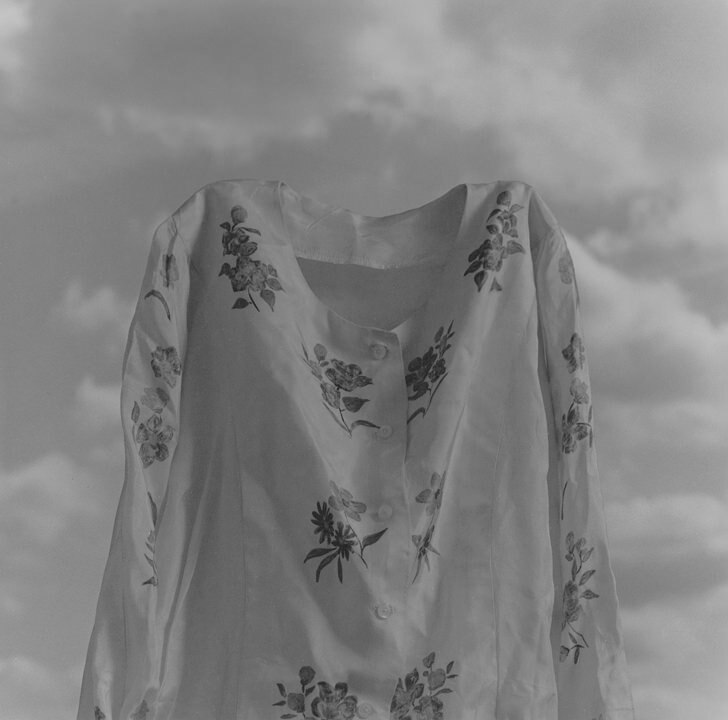 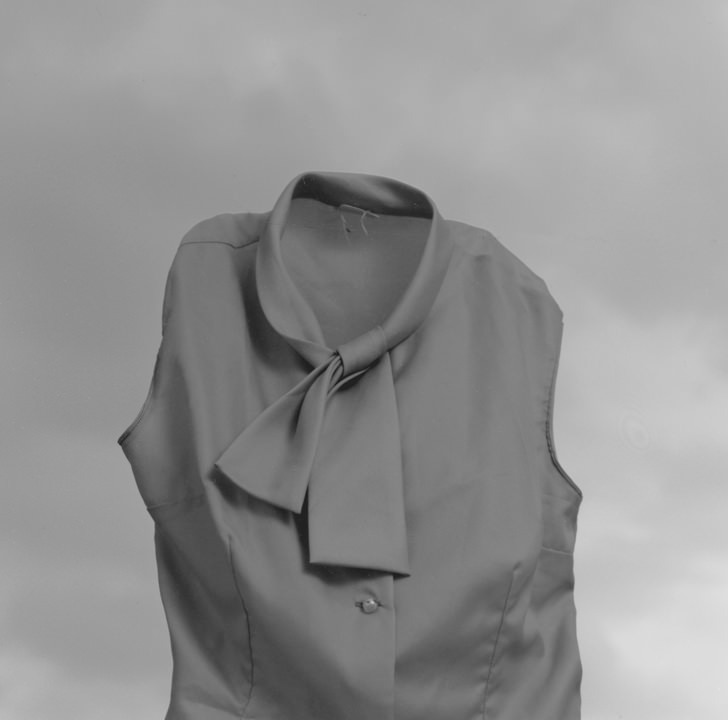 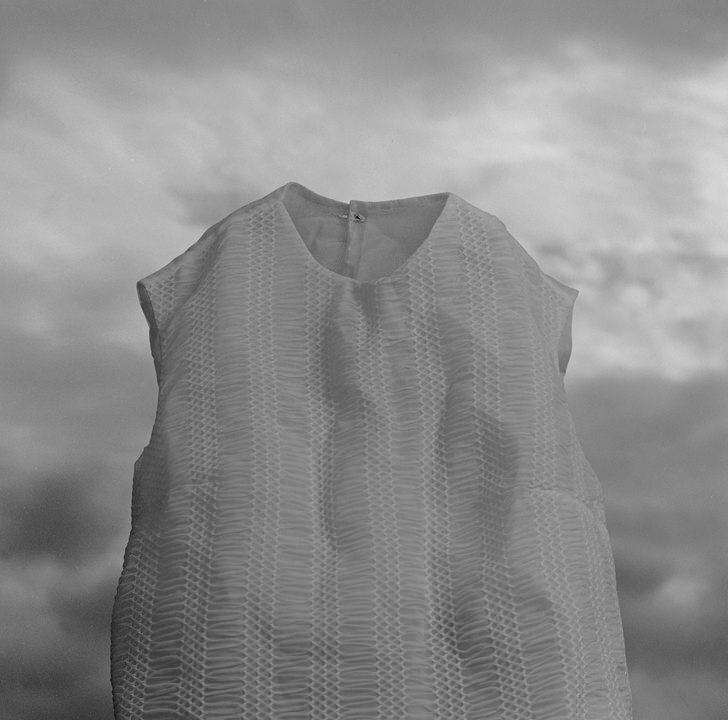 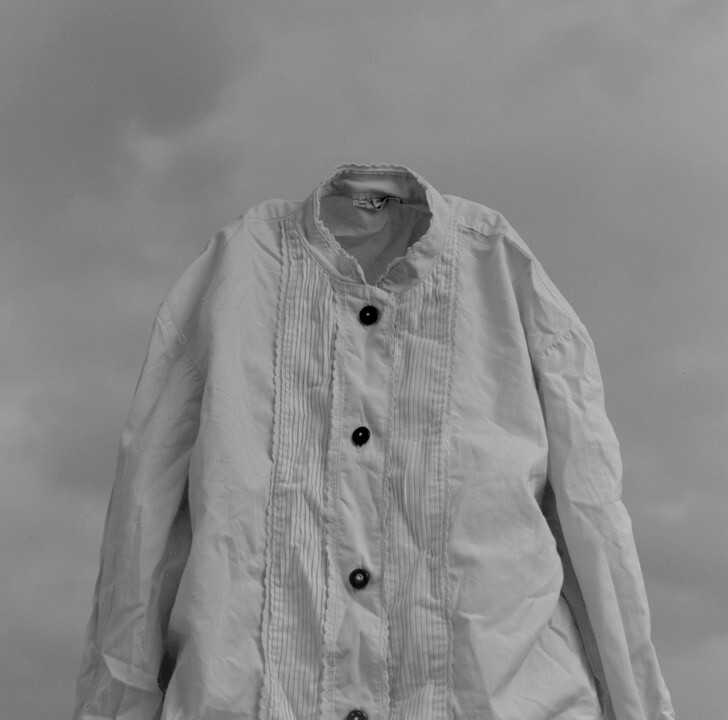 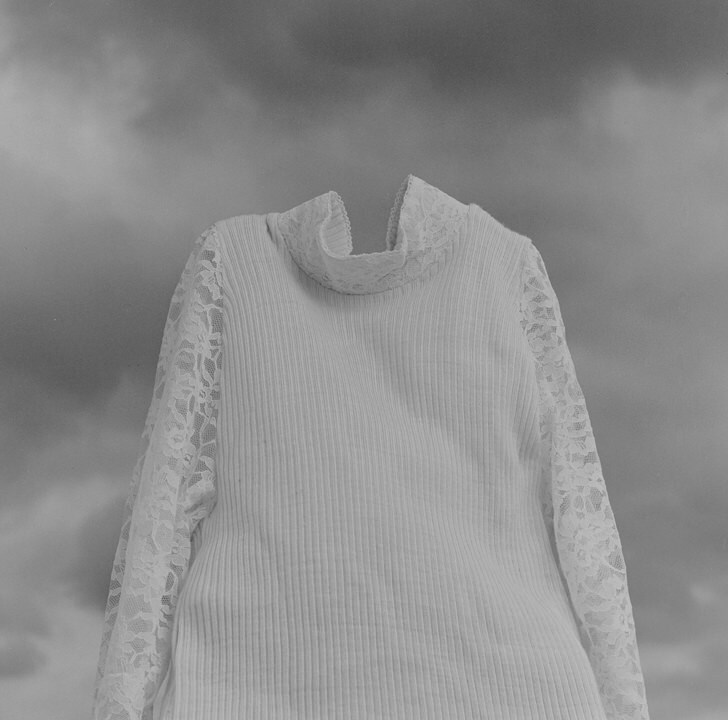 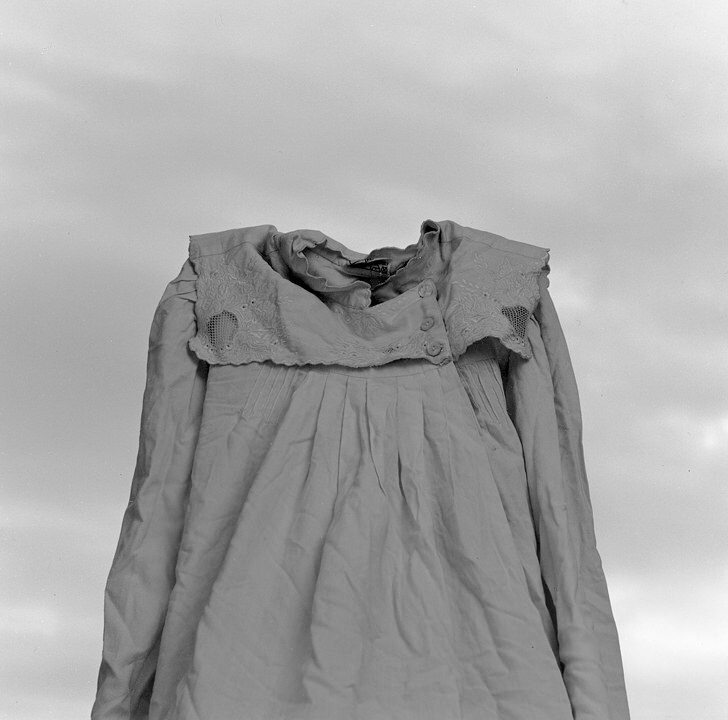 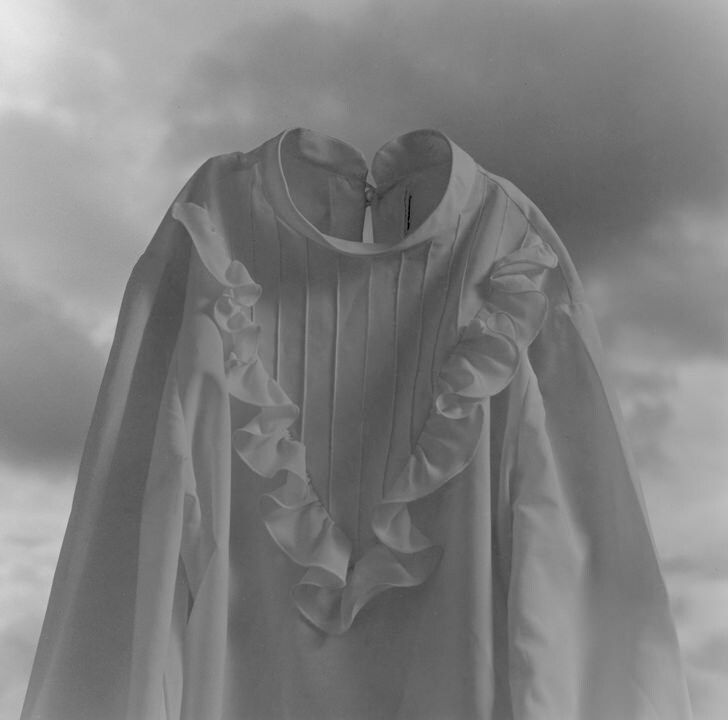 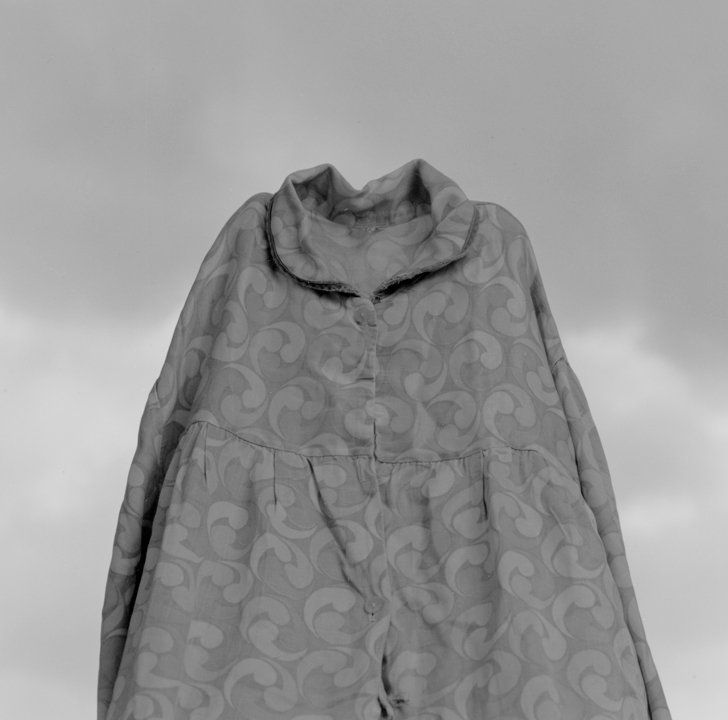 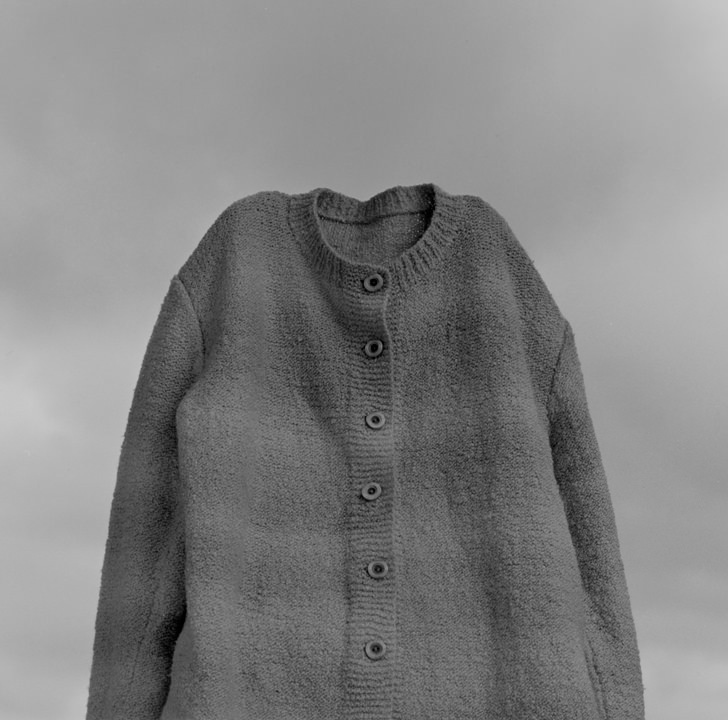 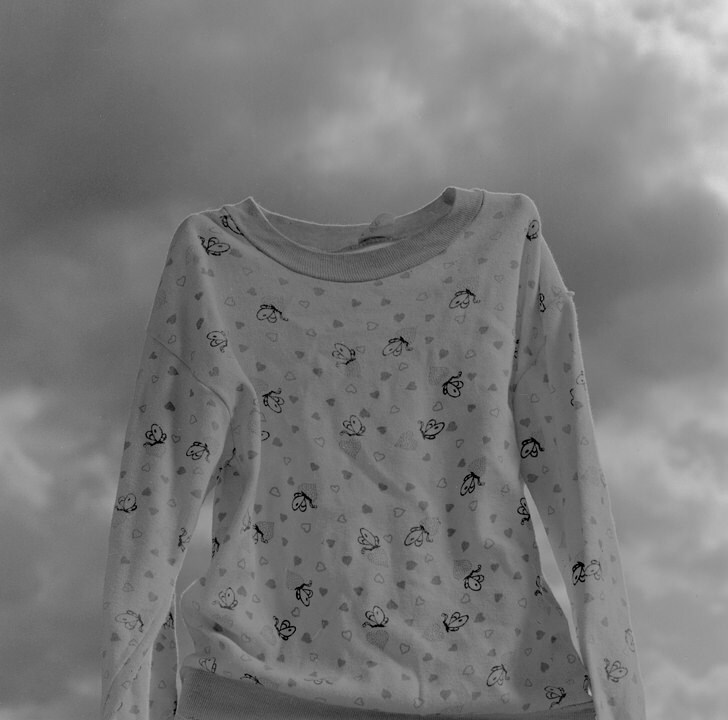 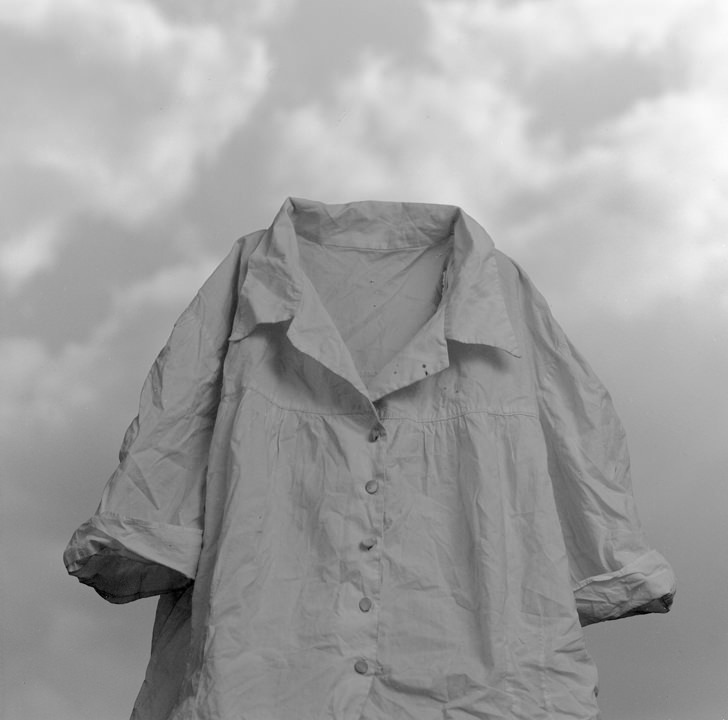 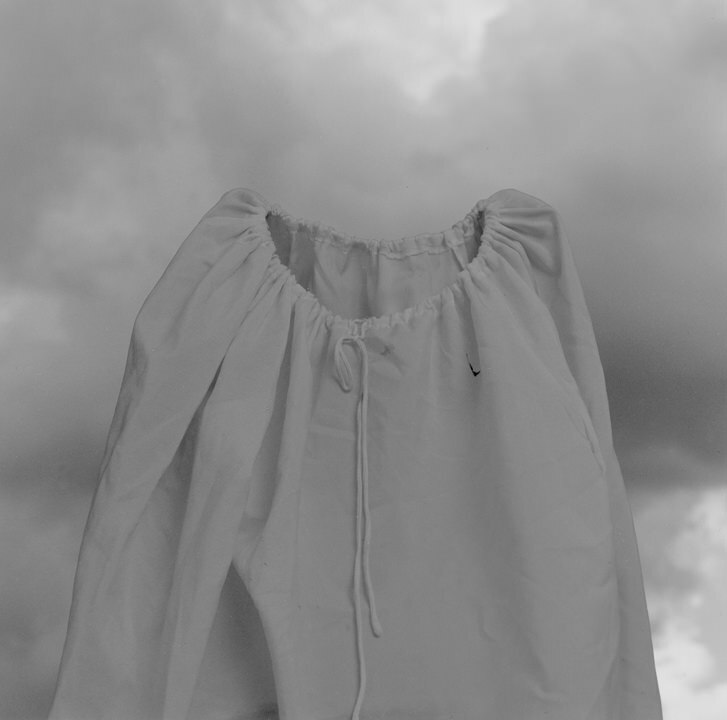 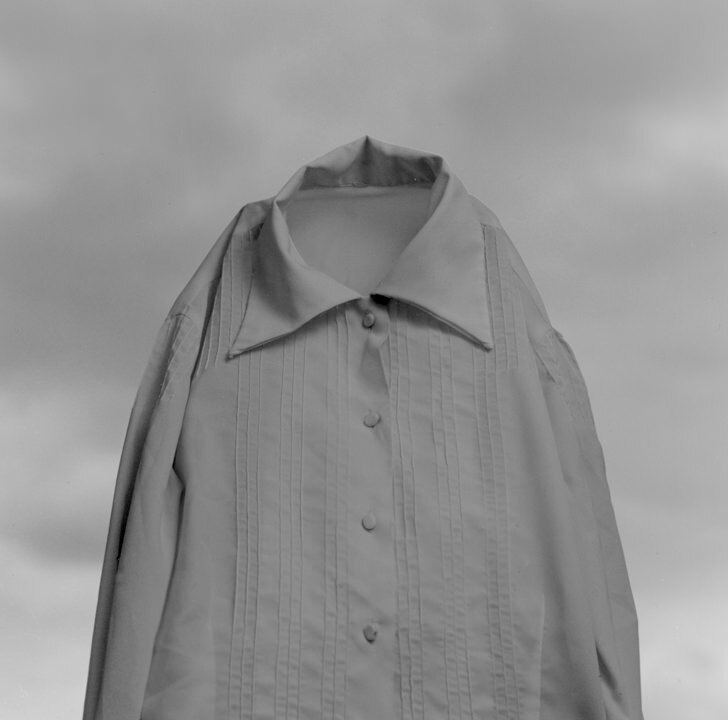 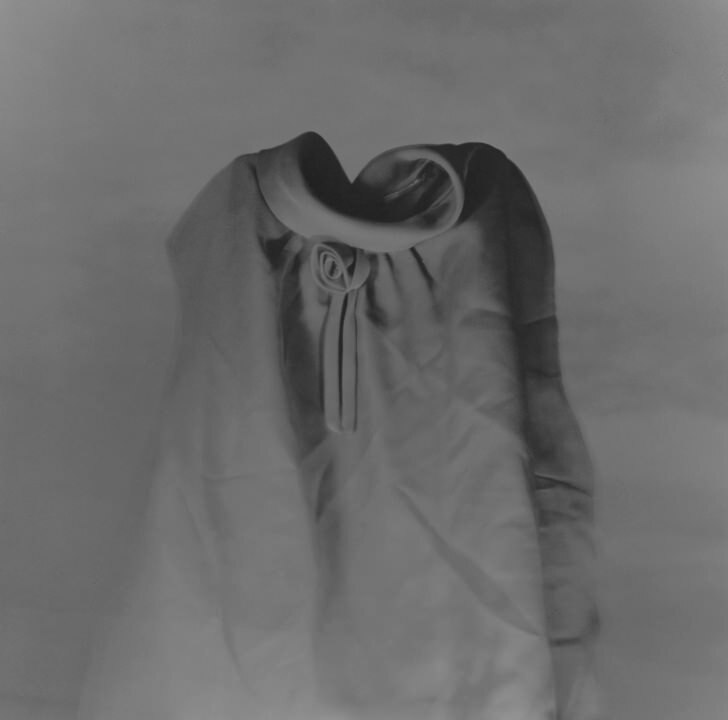 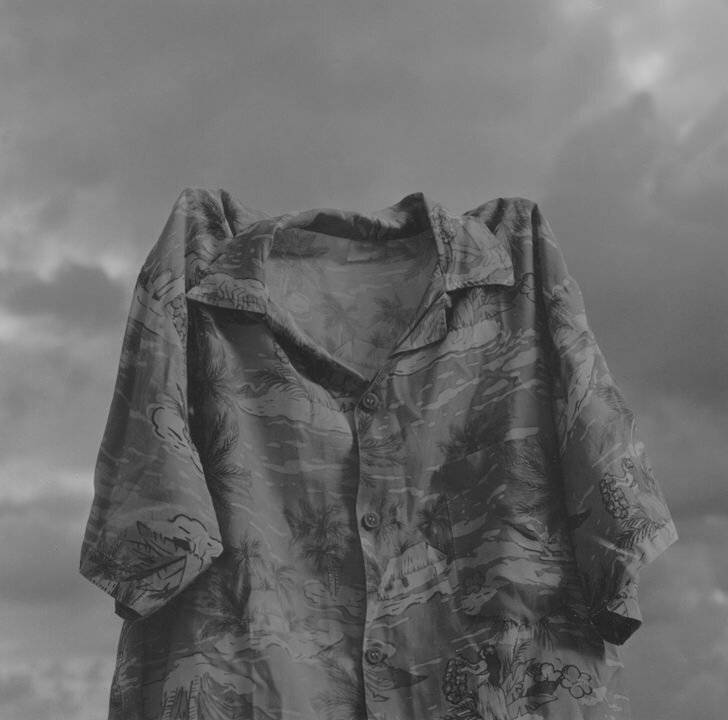 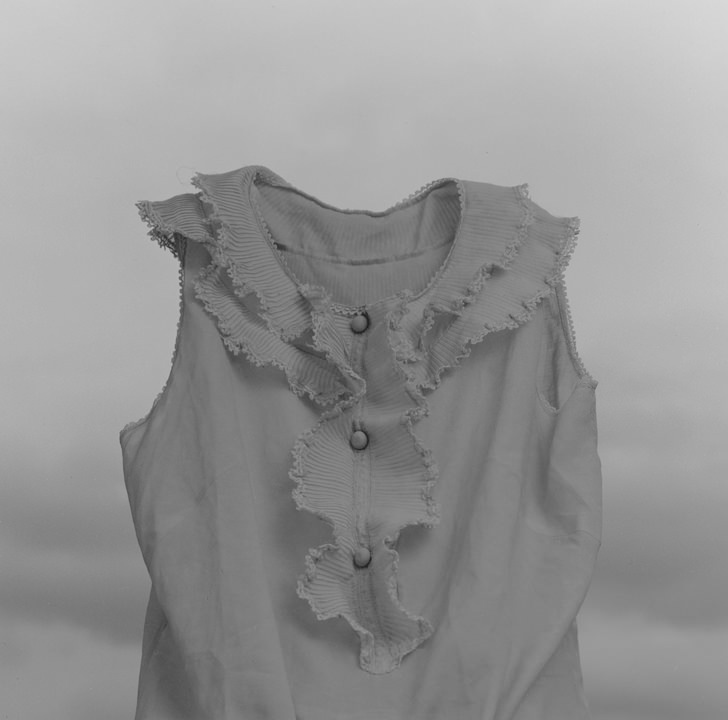 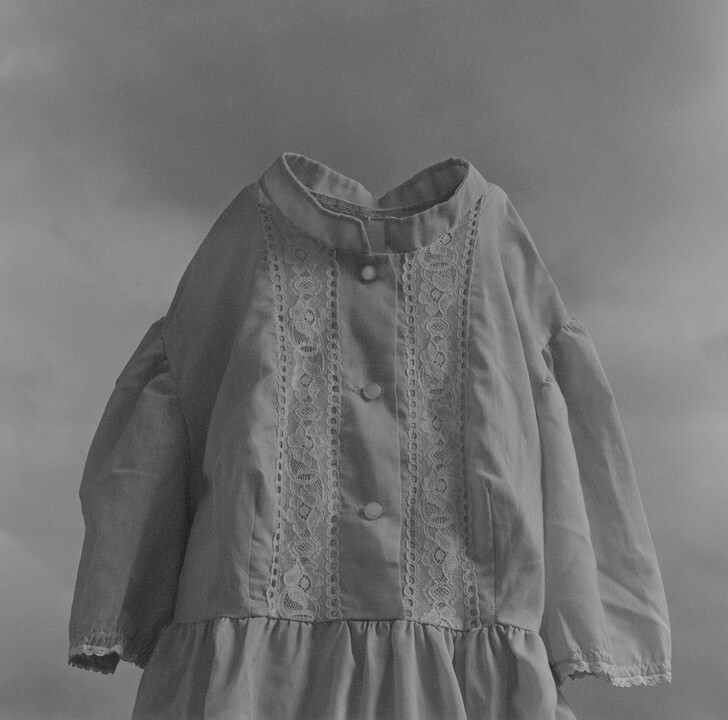 Onodera did just that, and then mounted each of the pieces of clothing, symbolic of death in Boltanski’s work, thereby symbolically restoring them to individual life and capturing them as bodiless portraits. 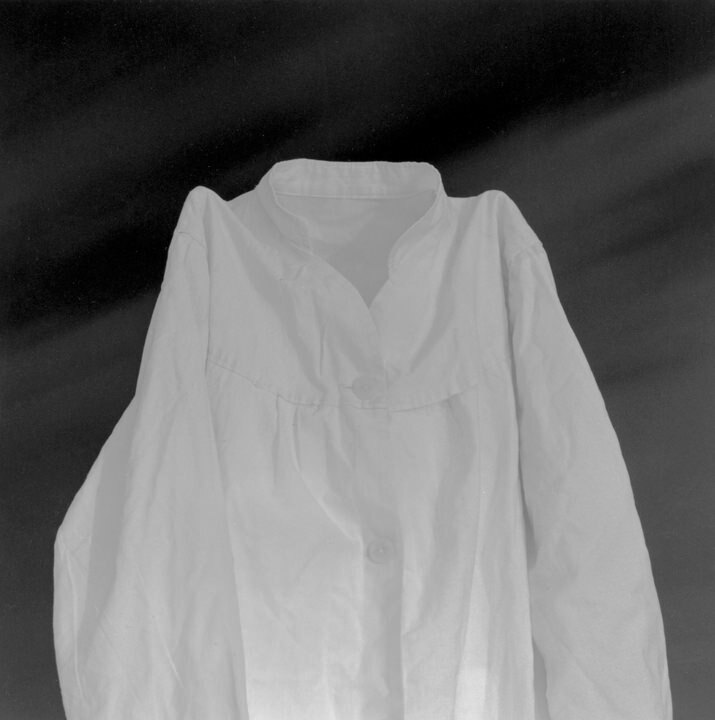 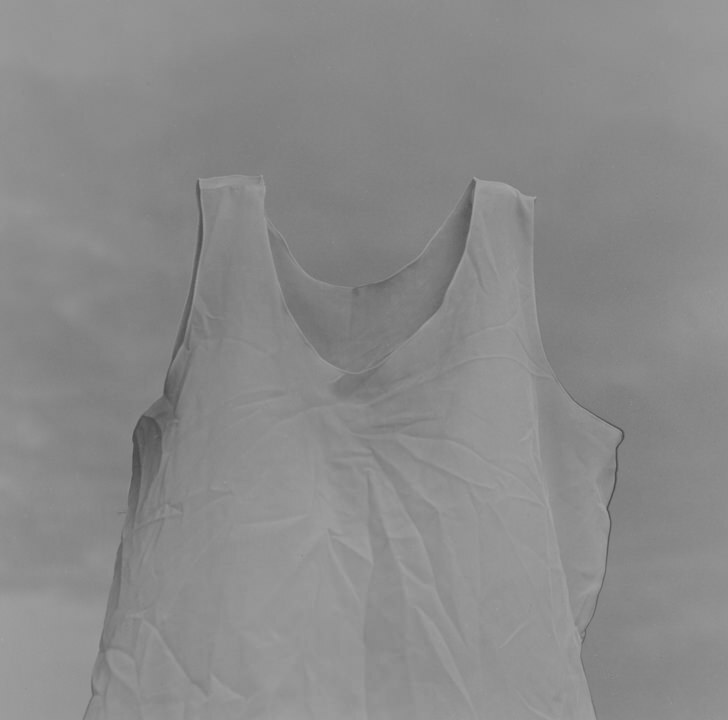 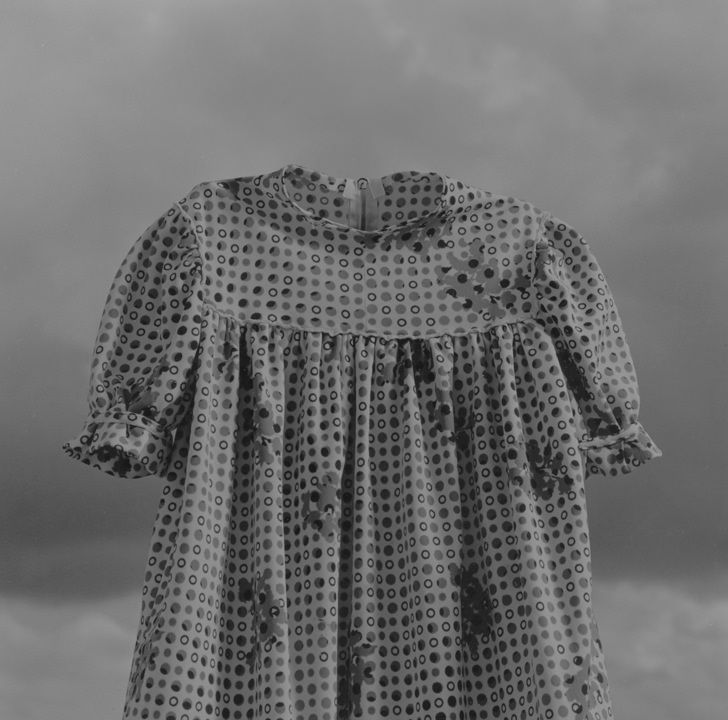 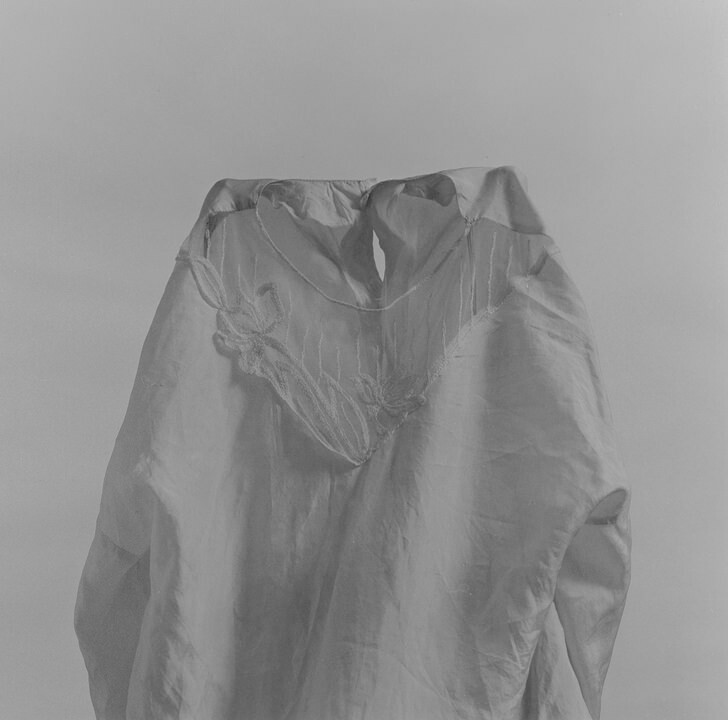 This is one of the series that was included in “Down”, exhibited at three Tokyo galleries in 1995, and in 1996 it was awarded the 21st Prix Kodak de la Critique Photographique.